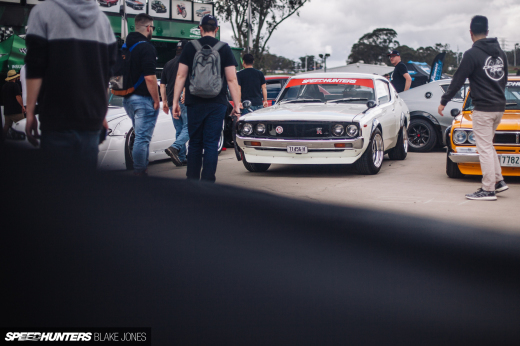 …With one of them being Mark Hansen's R35 GT-R. You may remember us featuring the car late last year or if that doesn't spark your memory, this might. Looking back at the last time we saw the car, it has definitely had some changes. …however, Mick wasn't far behind. The first impressions of Mark's car on the track were impressive. From a far the only thing I could relate his machine to was a GT500 race car. After a few laps of getting to know the car again the car started to show its true colours. The car looked like it was performing very well throughout the day. It was a struggle to keep it in my viewfinder at times! 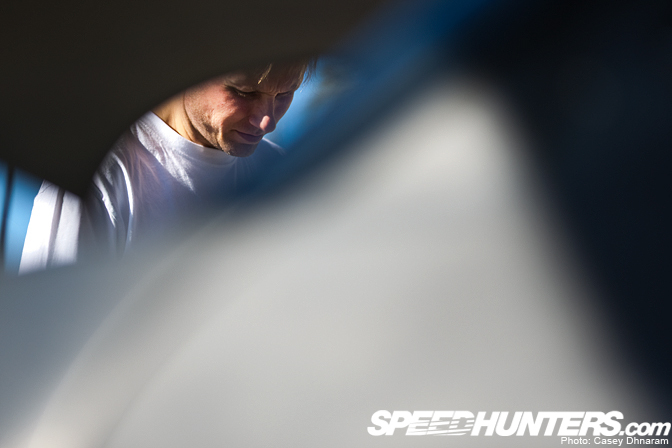 In saying that, the times I caught him the car looked extremely tough, especially from the rear. As stated earlier, the Precision Evolution has had some slight changes, just take a look at the size of that rear diffuser! This day was designated for testing out setups and different maps. Continuously the drivers would drive 10 or so laps before coming in and checking up on pressures and temperatures. One of the main areas Mark and his team were concentrating on was his R35's suspension setup, with the rear a little too soft for his liking. As it's always good to get a different perspective Mark had a co-driver, with the two rotating throughout the day. The guys from Precision Racing didn't seem to have any hiccups besides the front bar catching on the bumpy surface. 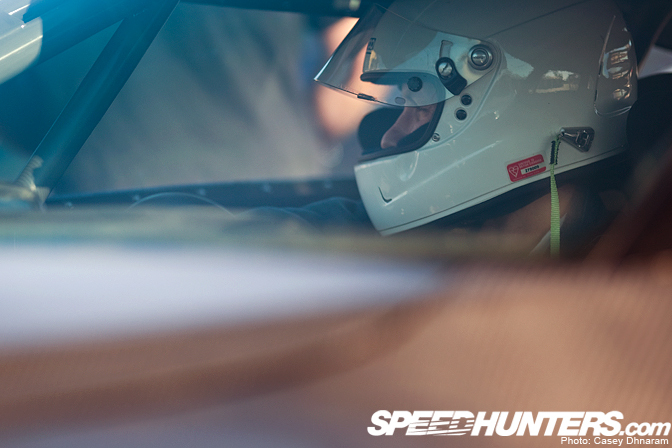 From a spectator's point of view, it was obvious that the cars were getting quicker and quicker with each lap. I'm really looking forward to seeing this car up against some of the best in the world! Last year there were only a small number of big guns representing Australia, this year things have spiced up a little. Mark Hansen and Mick Sigsworth will be joined by Drew Schull's 1000HP GT Auto Garage / HKS R35 GT-R and of course the only and only Hi Octane / Yokohama R34 GT-R piloted by Mark Berry. 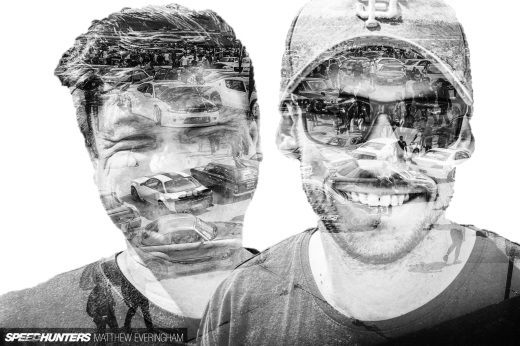 Oh, and let's not forget the Lotus boys. The crew from Mercury Motorsport have been working for weeks and weeks spending countless hours at night. Mark even told me their wives have to visit the shop to see them! Now, what would you seriously do if you saw this approaching in your rear vision mirror? 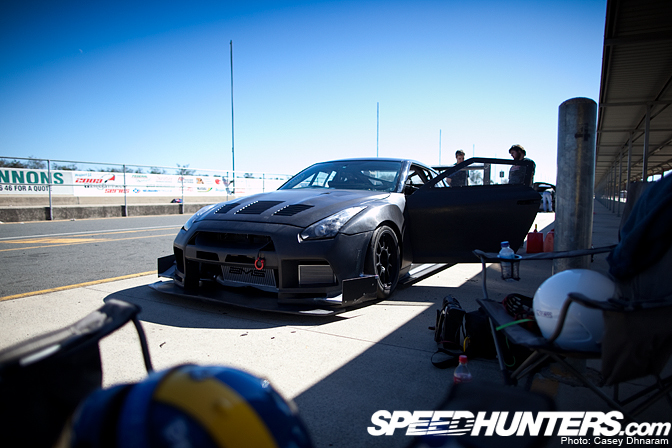 The boys will be testing the GT-R and the EVO alongside Drew Schull and Mark Berry in their GT-R's in only a few hours time for the Annual Nissan and AWD Time Attack Showdown so be sure to check in over the next few days. 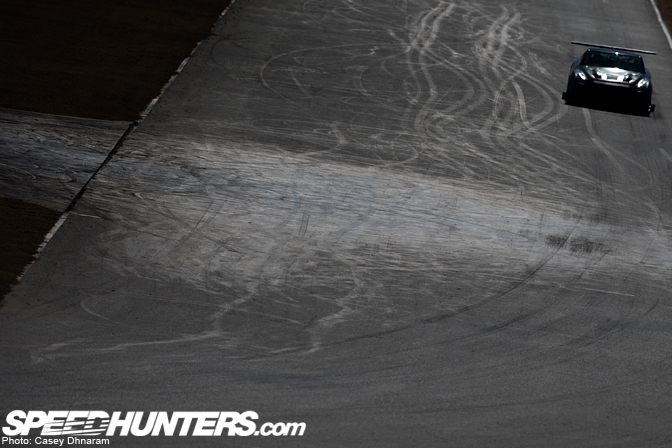 what track was this? wakefield? @ GeneralBoozy - The track is Queensland Raceway aka The Paperclip. 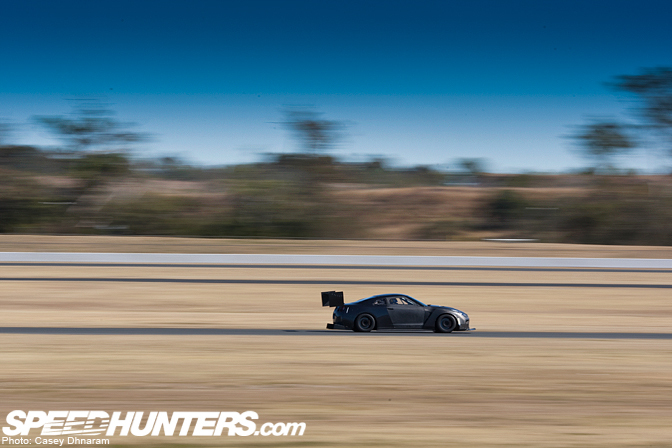 It's Queensland Raceway, near Ipswich (South of Brisbane). Is someone's front end loader missing its scoop? That evo looks like it got rear-ended by a bobcat. Seriously, that's the craziest diffuser I've ever seen. Now that is a wing! no grass since floods i gather? What laptimes were they doing? Got to see these two out there again today. Awesome is one word that comes to mind. 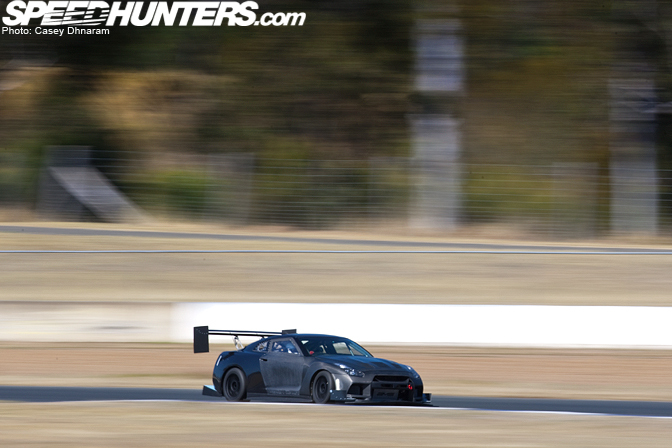 that GTR looks like the next batmobile....WTAC looks like its going to be a cracker! 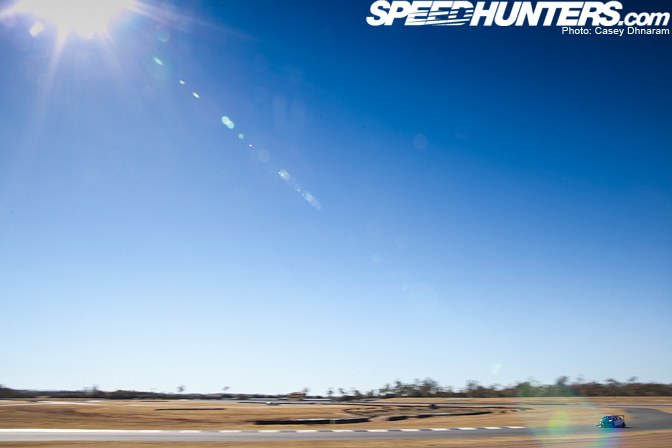 Track is Queensland Raceway GeneralBoozy. That wing is rude - love it. 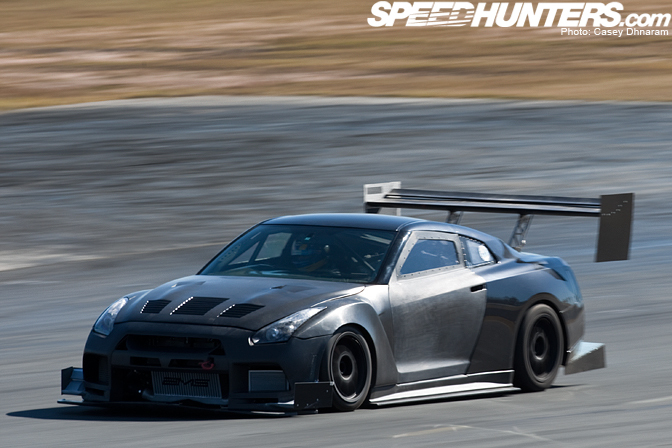 The R35 wing is amazing !!!!!!!!!!!! 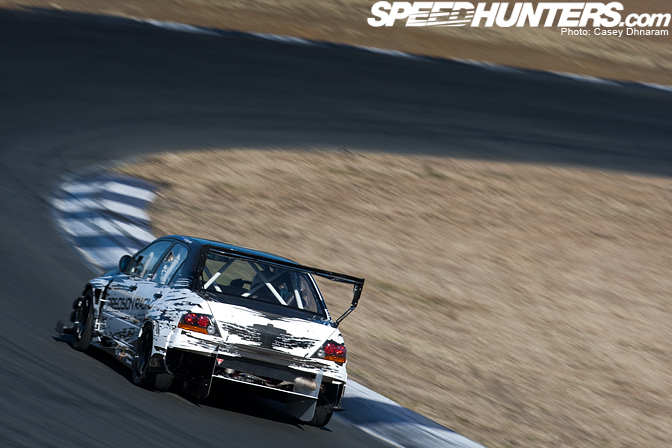 seems like this time round things were ok. - bring on the Time Attack! 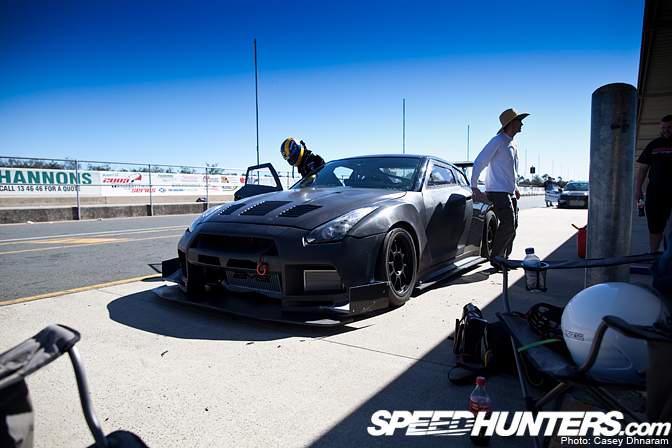 i'll be surprised if Drew's R35 GT-R makes it on time. yes QR did go under during the floods. that black skyline looks like a decepticon!! i'm sorry to say that but can we stop with the ridiculous growing of aero ? @kd, they are only waiting on the front cf clamshell still. @ Matt Andrew... mark was cutting into the 53's on its second day of testing after the aero was sorted... the 35 was literally picking the front wheels off the ground it had that much downforce in the rear.... it was amazing to see.... and the sound was undescribable.... a jet fighter with afterburnmers abalze is one that comes to mind.. you can hear the downforce and suction as it roars past!!! 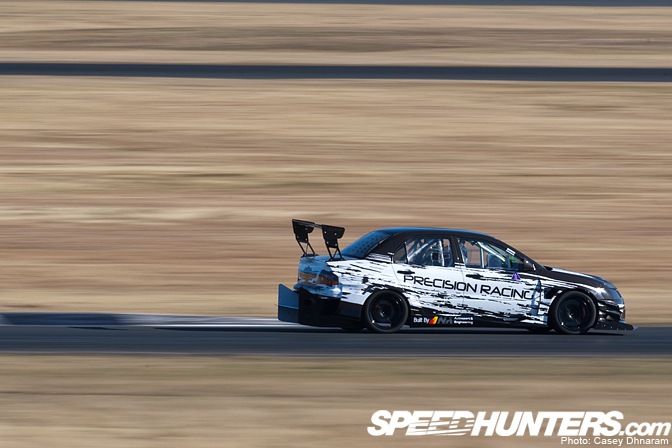 its an absolute credit to mark and the crew at MM.... oooo and there is one more massive secret which was revealed today... the co driver for it at WTAC is no other than TARZAN "the man" YAMADA!!!!!! BRING IT ON! !